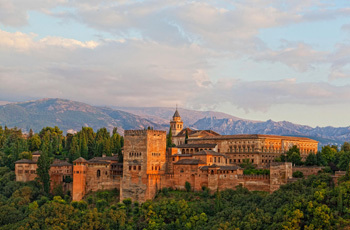 Take in the rugged beauty of Andalusia, and then enjoy the art, history, cuisine and culture of Barcelona! One week each in personally selected apartments in Andalusia and Barcelona. Andalusia: Car rental, with unlimited mileage and basic insurance. Barcelona: Two 10-trip metro passes and an Articket Museum Pass good for admission to 6 major city museums. Transfer between destinations: Instructions for your drive to Cordoba for rental car return, second class rail to Barcelona and transfer to your apartment. Local info, a driving map, and Untouring Barcelona and Untouring Andalusia guidebooks, both researched and written by Untours staff, full of insider tips and sightseeing suggestions. Cultural events in each location, like a group lunch with traditional Andalusian fare or a market tour and tapas lunch in Barcelona.